One set of 10 inch knitting needles, size 15, beautiful Harmony wood needles. 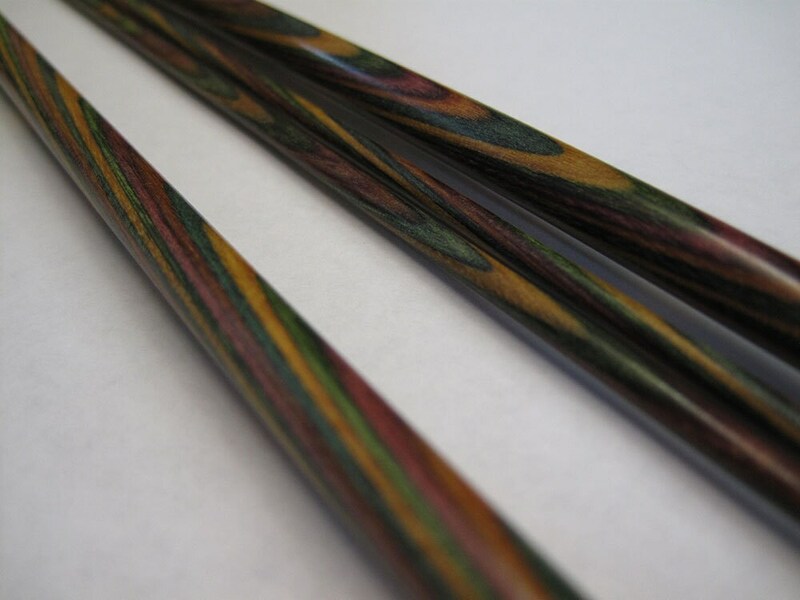 Classic Straight Rainbow Wood needles have sharp, tapered tips, radiant waves of color, and a lightweight feel. Multi-colored and strong, they have a super smooth surface that develops an even smoother patina with use. Laminated birch wood. 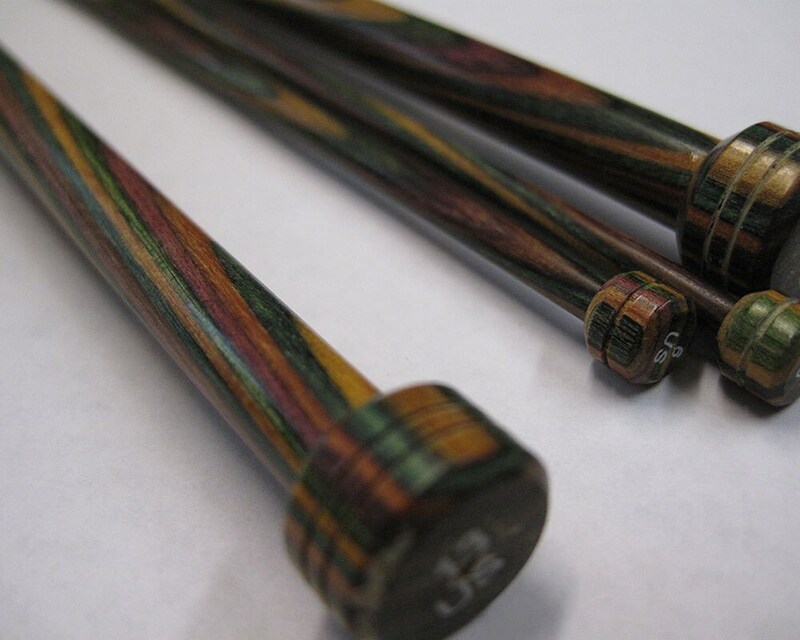 Shipping will be first class in a mailing tube to prevent damage to these awesome wood needles! It may be possible to ship more than 2 sets of needles in the tube, but please check with me if you are ordering more than 3 sets. Depending upon the size of the needles (i.e. width) only 3 may fit in the tube. Smaller needles may fit more than 3 sets in the tube. Other items that do not fit in the tube may have to be shipped separately, i.e. yarn, books, other tools, beads - I will contact you if this is necessary.